The 3 images below are my first attempts to make sure I could figure out design of 3D object and how to construct them. This bag was my first attempt to design something that someone could actually use. I later added snaps to the closure to make it more functional. I initially started sewing because I wanted gear for my motorcycle that I could take on long road trips. I didn't really like anything was on the market, and those that came close I felt I could do better. 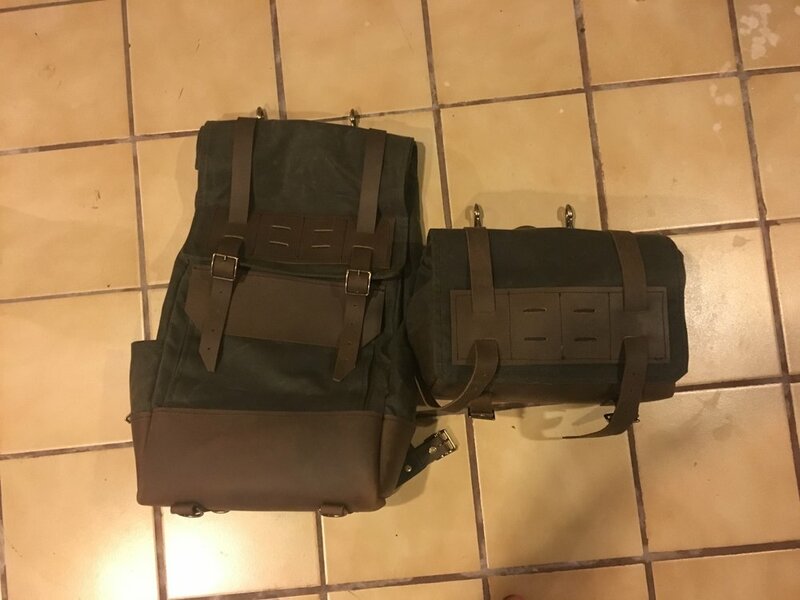 These bags were on the bike crossing through Canada around the Great Lakes and back. I accidentally lit the small one on fire because it rested to close to my exhaust. Whoops! My friend and I go on a lot of trips and ask a lot of our equipment. We've always wanted something that could transition from every day carry, to hiking, to motorcycle mounting. This is an initial sketch from talks with friends and other people in the relevant communities.